Today, wine lovers face two dilemmas. We want to conveniently enjoy wine at our own pace, but we are faced with an ocean of wine preserving gadgets, some promising varying levels of success, others, an unreasonable price point for most of us. When we developed one of the world’s most unique wine preserving system, we backed our love of wine with innovative technology. We were obsessed to produce incomparable results, at an incomparable value. And because we enjoy wine as much as you do, we found ourselves encountering 10 common scenarios time and again. Here are 10 reasons why you need some zzysh® in your wine life. Afraid of commitment? We get it. You want to enjoy a bottle of that delicious Cab, but you don’t necessarily want to polish off that bottle in one evening. Or maybe you are new to Shiraz, and you just want a taste, because you’re not certain it’s your style of wine. Our innovative system allows you to savor your wine and enjoy the same crisp tasting notes weeks apart. With zzysh® you can enjoy wine on your own terms, anytime, stress-free. Variety makes the world of wine exciting. Did you know there are easily over 1500 different varietals? Treat yourself to a flight of different wine styles without worrying about your bottles’ expiration date. Explore tastes from Sauvignon Blanc to Syrah in one meal, and save the rest of your wine for later. Out of all the world’s beverages, none has as special a relationship to food as wine. Wine pairing with cheese or your favorite dish can be an extraordinary experience, especially in the company of friends or family. If you are planning an upcoming party, chances are you have selected several different bottles for wine pairings. Enjoy peace of mind when it comes to your next celebration. With zzysh® you don’t have to waste excess wine the next time you party. Sometimes you just want a taste of wine. Or, for that special recipe that calls for a little wine, you find that you need only add a small measure. Whatever your reason, our revolutionary system allows you to return to your bottle, and enjoy it later when you want to treat yourself to a little more. Wine is one of life’s great pleasures. A special wine is more than a just delicious glass or a food pairing: it’s an experience, like a symphony. Some wines are truly meant to be savored, sip-by-sip. Slow down even more with that special bottle. Indulge yourself with a little of your favorite Bordeaux – or save the rest of that special bubbly for your next Champagne toast. When we developed an innovative new wine preservation system, we held ourselves to the highest pursuit of excellence. Our system was submitted to some of the world’s most discerning palates and rigorously tested for its extraordinary abilities. But don’t take our word for it. Taste and see for yourself. We guarantee that you will taste the same glass weeks apart, again and again. With more and more delicious concoctions dreamed by craft bartenders these days, many cocktails call for a splash of wine. Change your night up and add a splash of wine to your next craft cocktail. You can save the rest of your wine for another night when you just want wine. 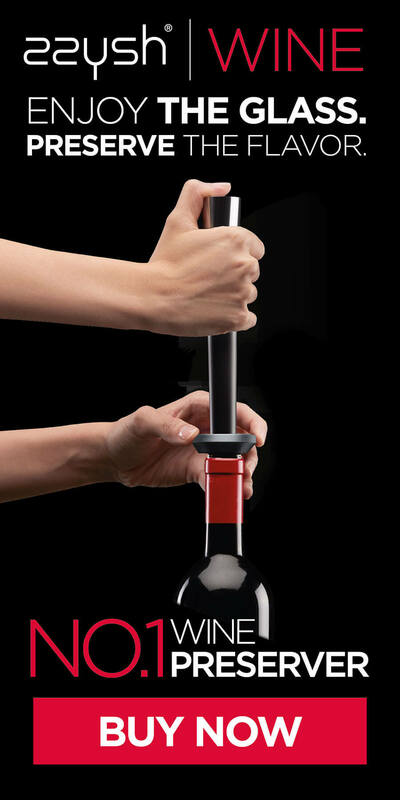 zzysh® works fabulously on all wines. From the most delicate whites to the beefiest Bordeaux’s – to any kind of sparkling wine. Our system guarantees the same lively fizz in your bottle of sparkling wine, up to six months from opening. Yes, you read correctly. When we developed a new wine preservation system, we held ourselves to the highest pursuit of excellence. 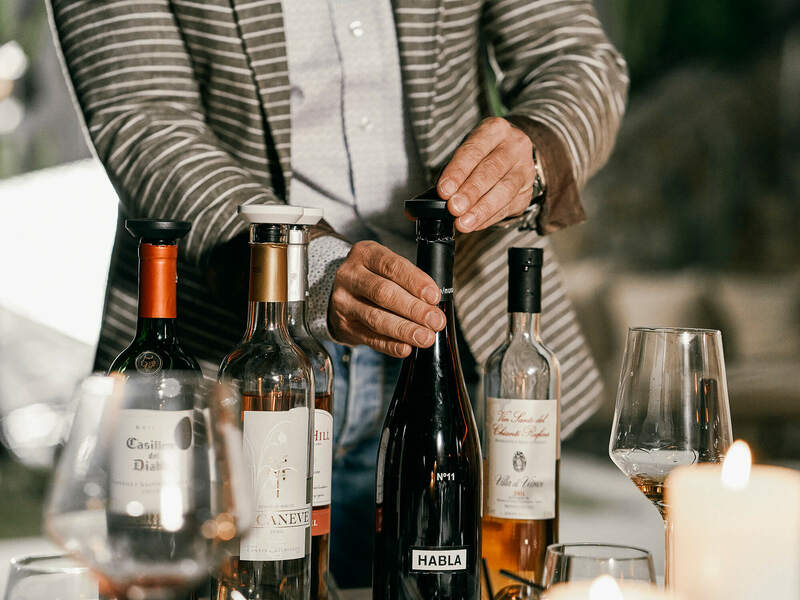 We submitted our preservation system to some of the world’s most discerning palates and rigorously tested it for its ability to preserve a wine’s vibrancy, taste, and in the case of sparking wines, fizz. But don’t take our word for it. Try it for yourself. We guarantee that you will taste the same glass weeks apart, every time. The zzysh® wine preserving system draws upon Swiss ingenuity and food science to produce a system unrivaled in its ability to preserve your wine. Our technology draws from leading food science by employing food grade gases which are not only extremely safe, but renown for their preservation abilities. Because of this, zzysh® users are always greeted by the same taste of their first glass, again and again. We’d love for you to taste and see how zzysh® rises a cut above the rest.